Now I know what you're thinking - do honey and raspberries go all that well together? That's what I was thinking too when I made these cupcakes. 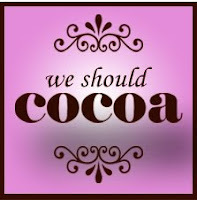 The thing is, I had to meet the deadlines for We Should Cocoa, run by Choclette at Chocolate Log Blog (and co-founded by Chele at Chocolate Teapot), the theme for which is honey, and my own challenge, Baking With Spirit, the theme for which is raspberry liqueur. Both challenges end next week so I thought that I'd combine the two and hope for the best. Luckily, raspberries and honey do work rather well together, though the cupcakes are quite sweet thanks to the muscovado sugar I used on top of the honey in the cakes - I've left it out in the recipe below. My one real issue with the cupcakes is that I had to add rather a lot of the liqueur to the icing to get a good raspberry flavour, which led to it splitting a little bit. If I had access to the fabulous ingredients that food manufacturers use this wouldn't have been an issue, but as it is it left the icing looking a little grainy. Despite the problem with the icing, I still found these cupcakes to be light and delicious. I do prefer the milk chocolate version of this icing because it is less sweet, but then I wouldn't have been able to make such delightfully/sickeningly pink cupcakes. And that would be no fun. Preheat the oven to 200C/180C fan and line a cupcake tin. To make the cake, cream the butter in a bowl until light and fluffy. Fold in the honey and enough milk to give the batter a soft dropping consistency. Divide the batter between the cupcake cases and bake in the oven for 22 minutes, or until a skewer comes out clean. While the cupcakes cool, make the icing: melt the chocolate in a pan over a low heat and place to one side. Use an electric whisk to beat the icing sugar and butter together until smooth, then continue to whisk for another minute. Whisk in the melted chocolate, then whisk for another two minutes. Add the raspberry liqueur slowly, whisking for about a minute between each addition. Keep whisking until the icing tastes like the liqueur and holds its shape. I have big plans for next week's cake - I've been planning it for about two weeks now. I hope it all pays off! I love combining blog challenges - sometimes it doesnt quite work out but this looks pretty and pink! can't wait to see what you've been planning for 2 weeks! I think honey goes nicely with most things - it's such a pleasing background flavour. Your cupcakes look so cute...and I'm curious about this cake that's been 2 weeks in the planning...what could it be???? They look really pretty anyway - sometimes there is nothing that quite does it like pink. The honey and raspberry combination sounds rather good to me and I'm now keen to try it. Sorry not to have entered Baking with Spirit - if I had some raspberry liqueur I most surely would have done. And thank you for entering We Should Cocoa. Don't worry Choclette - there's always next month! And thanks, the flavours work surprisingly well together.